Prednisone for cats is used for a variety of illnesses and conditions. Prednisone and prednisolone are steroids that are used to reduce inflammation, treat some types of cancer, suppress the immune system, and act as an artificial replacement for glucocorticoid when the cat’s body is not making enough on its own. Prednisone works by acting in the same way as cortisol, a naturally occurring hormone that is produced by your cat’s adrenal glands. Prednisone has amazing anti-inflammatory properties, which makes it an ideal course of treatment for certain cat ailments. Prednisone comes in many forms, from syrups, liquids, and tablets that can be administered orally to injectable forms. Prednisone and prednisolone are much more potent that the cortisol your cat’s body produces naturally, so there are potential side effects that come with using this medication. Prednisone can be administered by a vet orally or through injection. How much prednisone should be administered depends on the cat’s condition and how the cat responds to the steroid. For example, a cat that is being treated for an autoimmune condition may require up to three milligrams of prednisone per pound of the cat’s weight per day. Typically, however, prednisone is administered at one milligram per pound. Cats should not be on a long-term treatment with prednisone, as it can have dangerous side effects in the long run. 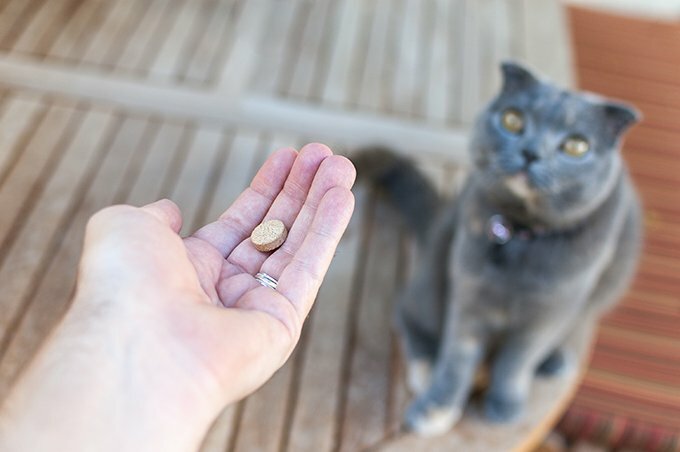 If your cat is suffering form inflammation of the liver, whether from cancer or other reasons, it is not recommended that they are given prednisone. Your cat’s liver converts prednisone into prednisolone, and a cat with a strained liver will have limited conversion abilities. For cats suffering from liver issues, prednisolone is the recommended steroid, but still in small and monitored doses. If your cat is prescribed prednisone or prednisolone, you should know that there are potential side effects, both long and short term. If any of these side effects become concerning during treatment with prednisone, contact your veterinarian immediately. Your vet may recommend altering the dosage or seeking a new form of treatment if the use of steroids like prednisone or predisolone is wrecking havoc on your cat’s health. Just like any other medication, using predisolone or prednisone for your cat for any of the aforementioned ailments could result in a severe allergic reaction, like anaphylactic shock. 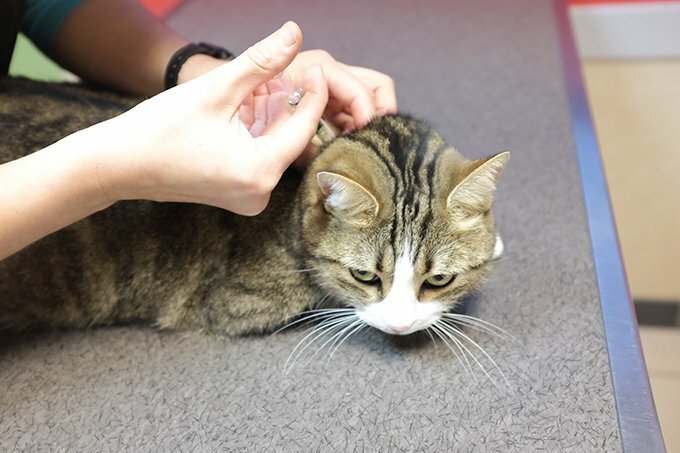 Call your veterinarian immediately if you see the signs of an allergic reaction in your cat, such as itching, hives, trouble breathing, or swelling. Has your cat ever been on prednisone before? Was it effective? Did your cat experience any side effects from prednisone? Let us know in the comments.